Sheriff Danny Smith was sworn in as Sheriff of Crawford County April 5, 2019. Sheriff Smith’s 24 year career with the Crawford County Sheriff’s Office began in 1995 when he accepted a position as dispatcher under Sheriff Sandy Horton. 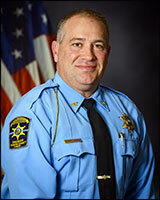 He was promoted to Deputy Sheriff in 1998. In 2009 he was promoted to Lieutenant. 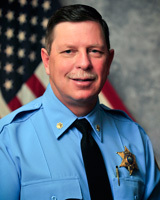 In 2013, Sheriff Dan Peak appointed Smith to Captain, a position which he held until being appointed as Sheriff.